It’s supposed to be convenient for homeowners… but it’s also convenient for crooks. Check out how I broke into my boss’s house with two quick pictures of his “do not duplicate” key (on the chain) while he was away from his desk. This may make you want to guard your house keys like you guard your Social Security number! 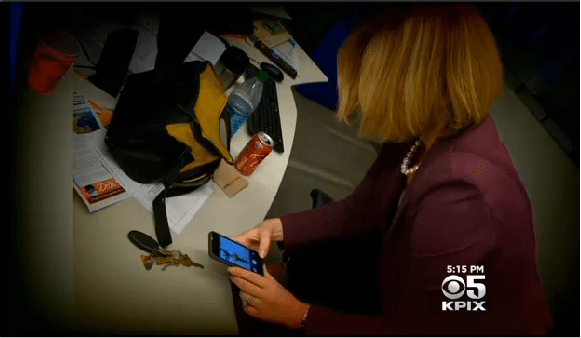 SAN FRANCISCO (KPIX 5) — Thieves are employing high-tech key making tools to break into old school security and commit crime. Just by slyly snapping a picture of a key and sending it into one of a handful of websites and apps designed for homeowners to copy keys, crooks can gain access to homes and locked facilities. We’re taking a bit of a hiatus from posting new content here, but we’ll keep sharing great journalism and research via the @NewsMomDotCom Facebook page. You can also follow @NewsMomDocCom on Instagram for fun #MomLife videos & posts. We’re working on new and exciting ways to get you the “real news” and research that matters to you! In the meantime, we’ll keep all of our existing research archived here at NewsMom.com. We are not "influencers" or "brand ambassadors." We are parents and journalists sharing our investigative research, resources, and news reports with others. As moms & dads, we have an intimate knowledge of the issues parents face. As journalists, we have an ethical obligation to remain independent and transparent. Newsmom.com features "unsponsored" news, reviews, and resources you can trust.